I was looking for a single-ball pattern and nothing was catching my eye. 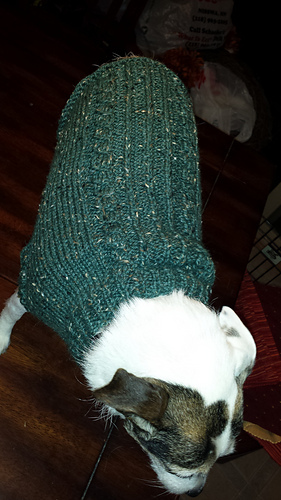 Then I decided to whip up a dog sweater for my daughter’s Jack Russell, Skye. I only had a few yards left at the end. 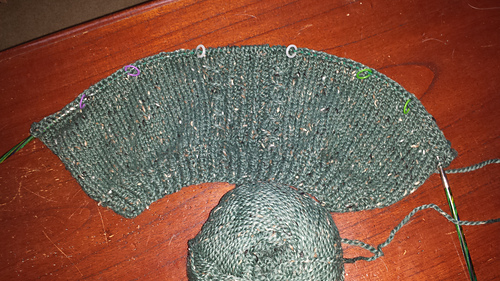 If your skein has more yardage, might not be a bad idea to add a few more rows before beginning the tail shaping. 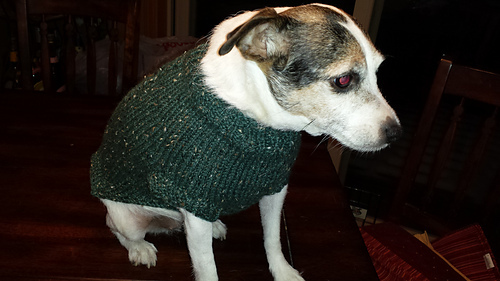 This pattern has a basic ribbed neckline & leg cuffs, a sweet little mock-cable pattern down the back. 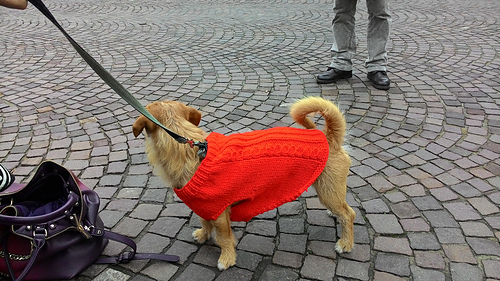 You can customize this pattern by adding length after the leg holes. I had to borrow my son’s dog for photos and she was decidedly uncooperative, refusing to even look at the camera despite my best efforts. 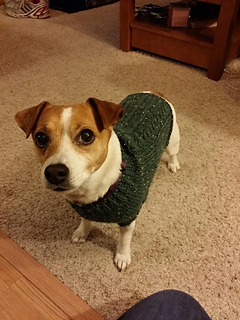 Hopefully my daughter sends photos of her camera-loving pooch. 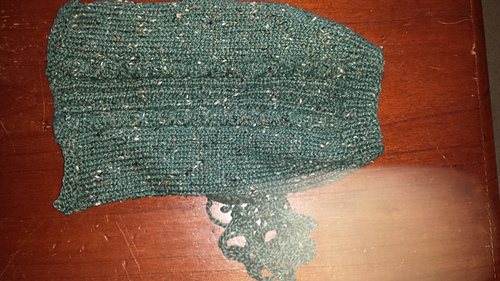 It was a fun little “Knit in a Day” project. 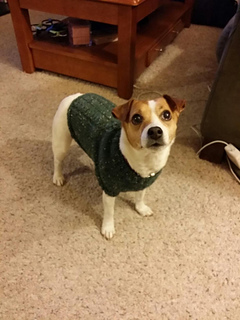 UPDATE: Skye now has her sweater and gives us a stylish pose. She seems to appreciate the new addition to her wardrobe more than my son’s sour-puss dog. Errata: Thank you to Littlelou1975 for finding my math error. A new corrected PDF has been uploaded. 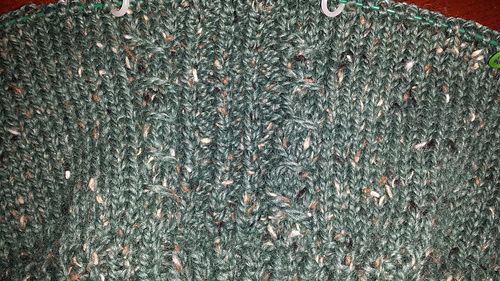 In a nutshell: You need to increase by 30 Stitches cuz that cable pattern is 21 stitches. Clearly I didn’t pay attention closely in Math 101.